Back in January, I was able to snag an interview with the author of the soon-to-be-released KISS OF BROKEN GLASS, Madeleine Kuderick. For various reasons, we haven’t posted this interview until now, but without further ado… Madeleine! 1. Welcome, Madeleine, care to tell us a little about yourself? Thanks! So here’s a little about my background. I grew up in Oak Park, a suburb near Chicago. There’s a rich literary tradition there. In high school, I was editor-in-chief of the same newspaper that Ernest Hemingway wrote for as a teen. I studied journalism at Indiana University but then transferred to the School of Hard Knocks where I earned plenty of bumps and bruises and eventually an MBA. Today, I like writing about underdogs and giving a voice to those who are struggling to be heard. I started writing when I was eight years old in Mrs. Margotti’s third grade classroom. 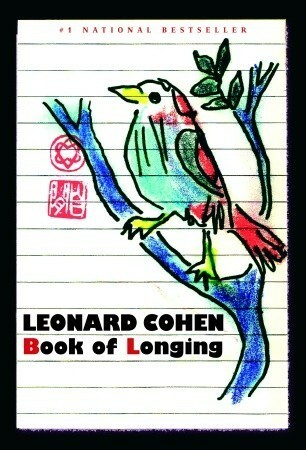 I wrote both prose and poetry and my stories were bound into little books and placed in the school library. Three people actually checked them out. I’ve never forgotten that. And I share that story with teachers today to remind them of the powerful impact they can have on aspiring young writers. 3.Do you prefer writing with pen and paper or a keyboard? 4. What are some of your favourite novels in verse? Do you have verse novelists who are inspirational to you? There are many beautifully written verse novels I’ve enjoyed by authors like Karen Hesse, Helen Frost, and Margarita Engle, just to name a few. But I’d have to say that Sonya Sones is the most inspirational verse author for me. Not only is her writing gorgeous but she’s an amazing person and a generous mentor too. Sonya was on the faculty when I attended the week-long Novel in Verse workshop at Highlights. It was a magical, transforming experience for me and my writing. 5. Your novel is going to be released this year! How has the experience of waiting been for you? The experience has been wonderful every step of the way. Even the waiting. I never imagined I’d be working with industry legends like my agent George Nicholson, who founded Delacorte Press and Yearling Books, or my brilliant editor Antonia Markiet who just celebrated her 40th anniversary with HarperCollins and has worked with talent like Maurice Sendak, Shel Silverstein, Kurt Vonnegut, Isaac Asimov, and so many more. I’m just honored to have this opportunity. 6. How did you gain inspiration for Kiss of Broken Glass? What compelled you to tell this story? This book has roots in a true event because my daughter had a similar experience. But I think it’s important to remember that KISS is a work of fiction. So while my daughter’s experiences influenced me deeply, I also spent hundreds of hours researching the blogs and Tumblr pages of other teens struggling with self-harm. Eventually I developed Kenna, a fictional character who embodied all those brave and aching voices, and I felt compelled to tell her story. 7. 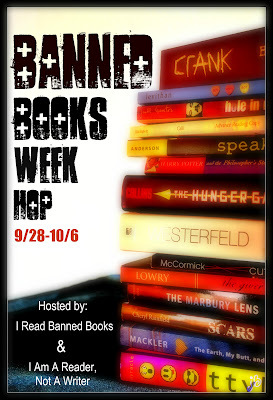 How do you feel about the themes of self harm and mental health in young adult literature? Do you think that your main character’s voice in an underrepresented one? There are some very compelling novels that deal with self harm like Patricia McCormick’s CUT and Cheryl Rainfeld’s SCARS. But I still believe this is an underrepresented voice and that was a strong driver for me in writing this book. I also think this book is vital now, more than ever, because there seems to be a surge happening. Self-harm is more prevalent, visible, and competitive than it has ever been before. I wanted to write a book about what it would be like to get swept up in that, and how hard it might be to get out. 8. Do you share any traits with your main character? If so, what are they? I don’t know that I share specific character traits with Kenna. But there have definitely been darker times in my life, situations that I wanted to escape and didn’t know how. On that level, I can relate deeply with her. 9. Who was your favourite character to write? I enjoyed writing Kenna because her voice spoke so loudly in my head that I knew almost instinctively what she would do in any situation. But I also enjoyed writing the voices of the three other teens who are locked up in the psych ward with her. 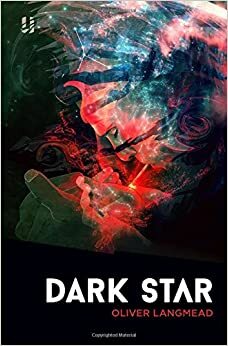 I especially liked writing Sklyar’s softer voice and creating the rhyming poetry she pens like the verse that begins: I made the first cut razor thin. A gentle kiss on virgin skin. 10. What part of the story was hardest to write? What kept you coming back to it, even when it got hard? Honestly, there was no “hard part” of this book that I had to keep coming back to. There were times when it felt like I was typing on barbed keys, when it literally hurt to write. But I think that’s because of my personal connection to the material. In terms of the writing process itself, the story simply poured out. Almost fully formed. Believe me – I know how rare that is. It will probably never happen to me again. But with this book, that’s just how it went. 11. Any hints you can give us about what to expect from Kiss of Broken Glass? Expect the characters to be raw and wrecked and achingly real. 12. Do you have any future projects that you’d like to tell us about about? I’m currently working on another YA novel for HarperTeen. Speaking of which, I’d better get back to writing it! Thank you for having me. Thank you Madeleine! It was a treat to have you! Madeleine Kuderick grew up in Oak Park, Illinois, a community with rich literary tradition, where she was editor-in-chief of the same high school newspaper that Ernest Hemingway wrote for as a teen. She studied journalism at Indiana University before transferring to the School of Hard Knocks where she earned plenty of bumps and bruises and eventually an MBA. Today, Madeleine likes writing about underdogs and giving a voice to those who are struggling to be heard. 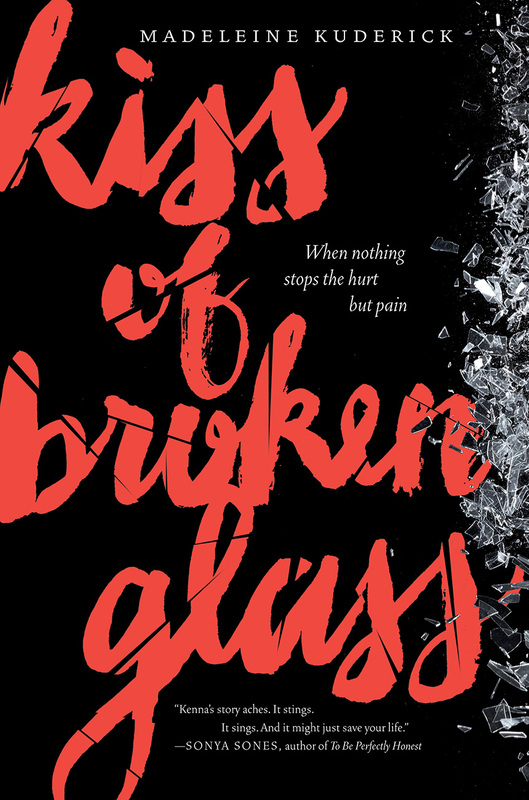 Her debut novel KISS OF BROKEN GLASS will be published in Fall 2014, by HarperTeen. When fifteen-year-old Kenna is found cutting herself in the school bathroom, she is sent to a facility for a mandatory psychiatric watch. There Kenna meets other kids like her—her roommate, Donya, who’s there for her fifth time; the birdlike Skylar; and Jag, a boy cute enough to make her forget her problems . . . for a moment. In case you haven’t heard, I have a new book out this month. CAPRICIOUS is the sequel to the verse novel AUDACIOUS, which came out last year to rave reviews (if I do say so myself!). 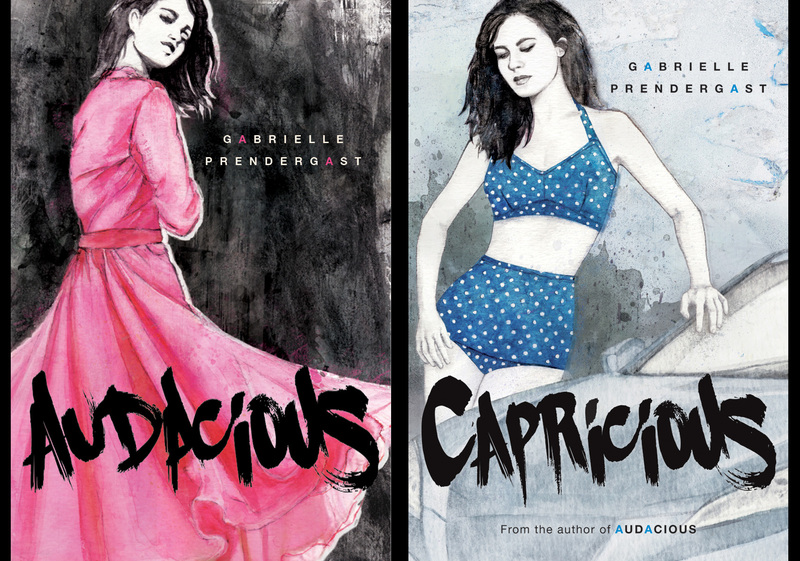 To celebrate my verse novel duology I’m giving away three copies of CAPRICIOUS and one copy of AUDACIOUS as part of the April New Release Giveaway Hop hosted by Book Nerd. Audacious is about Ella, a misfit girl who vows to try to fit in, and blows it in a spectacularly teenage way. 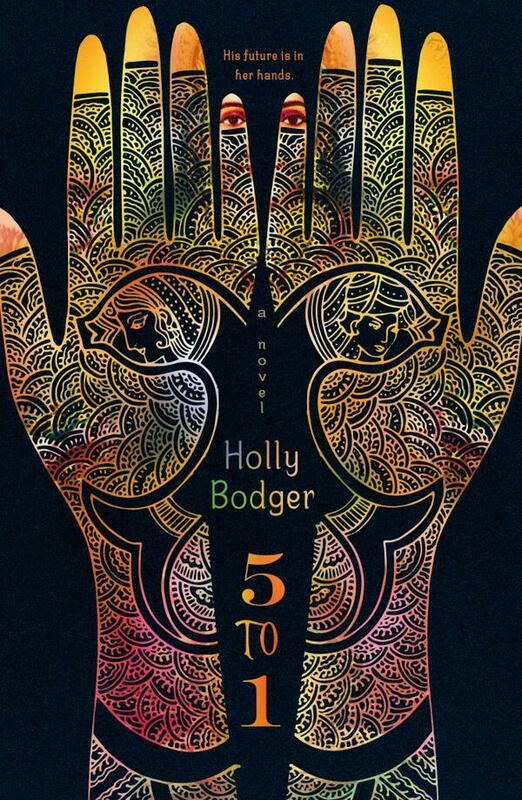 Publisher’s Weekly called it a “rich, riveting story… with an honest teenage voice”. In Capricious Ella does for her heart what she did to her life in the previous book: throws it down and stomps on it. Kirkus called it “sensitive and compelling”. To enter simply comment below that you follow this blog. Those who follow me on Twitter, tweet or Facebook about the giveaway or add both books to Goodreads will get extra entries. Let me know in you comment what you’ve done. The lucky winner who enters here will win both books! You can also enter to win CAPRICIOUS over at my author site Angelhorn.com or at my design site Cover Your Dreams. You can also enter to win Capricious on Goodreads!